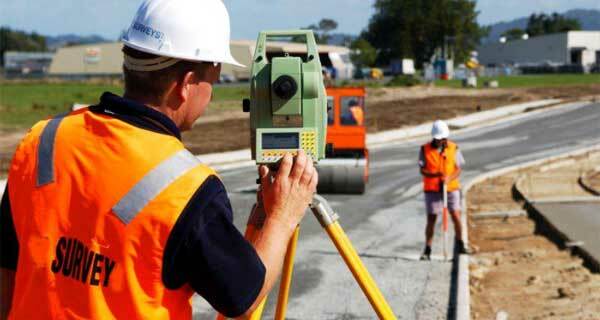 Surveying is the art of determining the relative positions of different objects on the surface of the earth by measuring the horizontal distances between them, and by preparing a map to any suitable scale. Thus, in discipline, the measurements are taken only in the horizontal plane. The aim of surveying is to prepare a map to show the relative positions of the objects on the surface of the earth. The map is drawn to some suitable scale. It shows the natural features of a country, such as towns, villages, roads, railways, rivers, etc. Maps also include details of different engineering works, such as roads, railways, irrigation canals, etc. To prepare a topographical map which shows the hills, valleys, rivers, villages, towns, forests, etc. of a country. To prepare a cadastral map showing the boundaries of fields, houses and other properties. To prepare an engineering map which shows the details of engineering works such as roads, railways, reservoirs, irrigation canals, etc. To prepare a military map showing the road and railway communications with different parts of a country. Such a map also shows the different strategic points important for the defence of a country. To prepare a contour map to determine the capacity of a reservoir and to find the best possible route for roads, railways, etc. To prepare an archaeological map including places where ancient relics exist. To locate a new station by at least two measurements (linear or angular) from fixed reference points. According to the first principle, the whole area is first enclosed by main stations (i.e. Controlling stations) and main survey lines (i.e. controlling lines). The area is then divided into a number of parts by forming well conditioned triangles. A nearly equilateral triangle is considered to be the best well-conditioned triangle.The main survey lines are measured very accurately with a standard chain. Then the sides of the triangles are measured. The purpose of this process of working is to prevent accumulation of error. During the procedure, if there is any error in the measurement of any side of a triangle, then it will not affect the whole work. The error can always be detected and eliminated. According to the second principle, the new stations should always be fixed by at least two measurements (linear or angular) from fixed reference points. Linear measurements refer to horizontal distances measured by chain or tape. Angular measurements refer to the magnetic bearing or horizontal angle taken by a prismatic compass or theodolite. In chain surveying, the positions of main stations and directions of main survey lines are fixed by tie lines and check lines.